Hua Hin is a gorgeous region of Thailand, renowned for its stunning beaches and remarkable national parks. 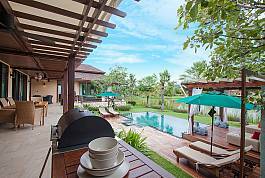 If you are looking for the perfect get-away with your very own luxury villa then you have definitely come to the right place. We have compiled a long list of unique and desirable accommodation for our customers to choose from. We have racked up over ten years of experience in the market place by sticking to a strict and important goal: providing only the highest quality condos and villas at unbeatable prices. While endeavouring to keep our promise, we have gained a great deal of knowledge on various key regions in Thailand that are popular among holiday makers across the globe. With this well-educated approach, we can provide our customers with informed advice on where to create the best memories. You need only ask, and we will help you in your search for the perfect holiday home. Whether you are looking for long or short term prices, we are bound to find an appropriate lodging at a realistic price. Villa Qualitas is a fine property that leaves no one indifferent. With carefully selected details providing subtle luxury in a homely setting, it is an amazing pick for families and friends travelling together. Here you can explore Hua Hin city that isn’t far away, but also relish the immediate nature and amenities. Variety is the spice of life, and so we strive to add all manner of accommodation to our list of properties in order to provide a great choice of options for our valued customers. While we understand that we may not always find something to suit absolutely everyone, we will indeed provide a thorough and friendly service regardless. 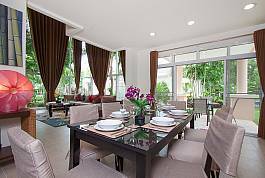 You will walk away feeling valued and respected and hopefully with a set of villa keys in hand – ready to enjoy a long and relaxing holiday in Hua Hin.